While this card is at a Problem, your other Friends at that Problem get the Critter trait during any Score Phase. 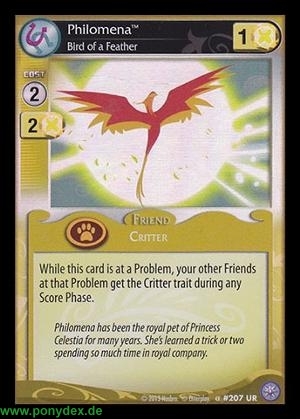 Philomena has been the royal pet of Princess Celestia for so many years. She's learned a trick or two spending so much time in royal company.